Internet marketing is revolutionizing the way business owners and consumers buy and sell goods and services. Over the years, many brands and businesses have started to adopt Internet marketing much more extensively than traditional mass media marketing as seen in the graph from Adecco below which is part of an Infographic that explores the evolution of marketing. 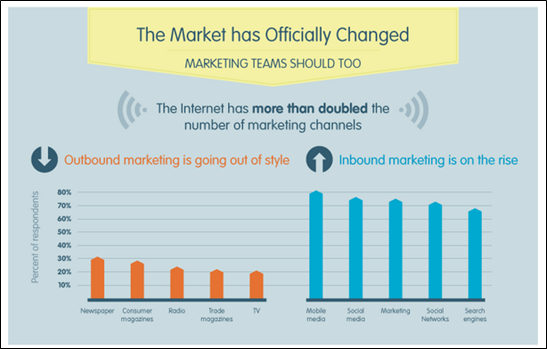 Many of these businesses have realized the importance of Internet marketing particularly as an inbound marketing tool that delivers better results and revenues than traditional marketing channels. 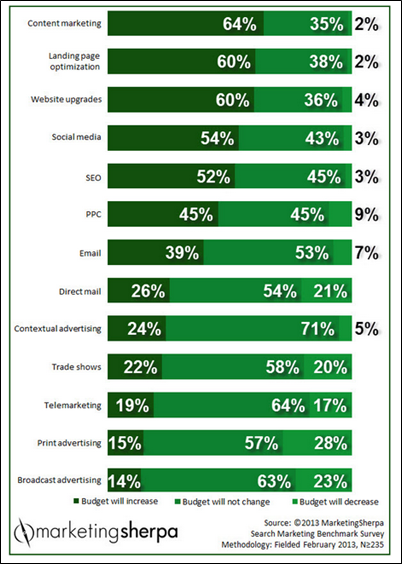 The following graph describes the results of the 2013 Search Marketing Benchmark Survey by Marketing Sherpa that highlights more increases in budget spending for Internet marketing channels like Content marketing at 64% and Landing Page Optimization at 60%, which is far beyond planned budgets for traditional advertising like print and broadcast media. Other studies like those performed by Gartner explore how Internet marketing has been successfully aligning with how modern consumers today have changed their purchasing behaviors. The studies indicate that consumers now rely more on what they have learned and researched from the Internet and social media before they make any final purchasing decision. Gartner predicts that by the year 2015, 80% of consumers’ spending decisions will be influenced heavily by mobile marketing and social media marketing. One of the key characteristics of full Internet marketing is that these digital marketing tools were designed to target specific sets of customers or audiences. Unlike traditional mass media marketing where advertisements are broadcasted to anyone, even those who do not like or are not interested in a particular product or service. Internet marketing which is a form on inbound marketing attracts targeted customers who are specifically looking for the brands, products or services a particular digital marketing campaign is focused on. 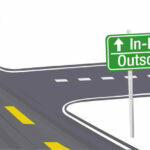 eMarketer reported that real-time marketing tools can bring businesses more benefits than other tools. Internet marketing is characterized with real-time interactions that can connect your business much more effectively with targeted customers. 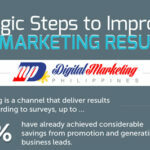 What you get are immediate results for your marketing efforts. 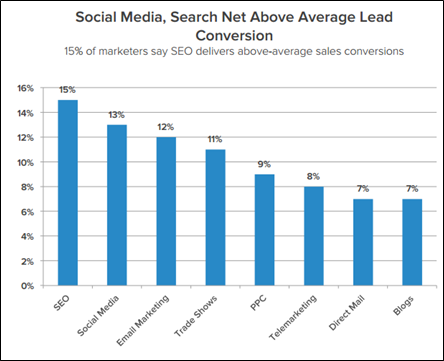 The results are above-average conversions to either leads or sales every time a targeted customer visits your landing pages or websites as outline in the graph below from the 2013 State of Inbound Marketing Report from HubSpot. Compared to traditional mass media marketing, Internet marketing is much more cost-effective. Internet marketing also does not require ridiculously large amounts of investment as what businesses have done in the past with mass media marketing. Internet marketing channels are cheaper compare to traditional media channels, and in many cases websites can generate traffic even for free. Some businesses also need not spend huge amounts on property rentals, maintenance fees, and overhead costs for stock rooms as products can be drop shipped directly from your supplier to your end customer. Gartner’s Research Director Adam Sarner indicated that more and more people are relying on mobile and social media marketing for their purchasing, leaving mass media marketing a mere 2 percent response rate. 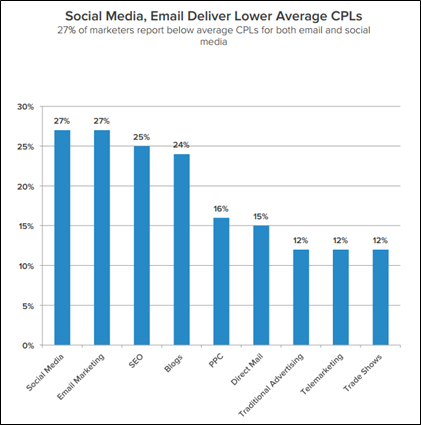 The chart below from HubSpot highlighted that up to 27% of digital marketers reported that they spend the lowest total average lead costs on social media and email marketing, with other Internet marketing tool delivering the same results as compared to traditional forms of mass marketing. 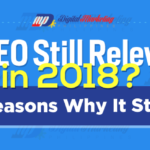 Since most Internet marketing activities are done online, businesses are not bound by brick-and-mortar limitations when it comes to reaching out to a wider audience. The world just became smaller with Internet marketing, allowing businesses from one part of the world market to another as if they’re just a few blocks away from each other. Geographical distances are now meaningless with Internet marketing, allowing businesses to reach and interact with targeted customers more than they could ever will using traditional marketing methods. Unlike traditional mass media that register vague metrics or inaccurate survey results from a sampling of the actual target population, Internet marketing results are easily measurable and available in real time. Each click or visit to a landing page or websites, sign ups, and online purchases can actually be measured very accurately allowing digital marketers to easily gauge which particular Internet marketing tool will work for them and bring the best results. On top of that, Internet marketing analytics data can also give digital marketers a better insight about their targeted customers purchasing behavior among other things. Not only is Internet marketing highly targeted, offers and programs can be customized or personalized based on the profiles and other consumer behaviors your targeted audiences exhibit. This will give your customers better value for what they have paid for as well as a better insight of the kind of products and services your customers need and are looking for – which your business can provide or develop. Traditional marketing is one way and there is very limited or no interaction between an advertiser and the end customer. With Internet marketing, engagement is the key and being able to interact with targeted customers in real time can help build better customer-supplier relationships, build higher levels of trust, and generate great customer loyalty that benefits both the business and their clientele. In an article from the Umass Darthmouth, it was reported that One third of the companies listed in the Inc. 500 report the ability to financially determine the return on their social media investment. The popularity of social media networks have come to a point that they have become very influential in swaying online consumers’ buying patterns and decisions – a fact that businesses can take advantage and leverage heavily upon in their Internet marketing strategies and campaigns. 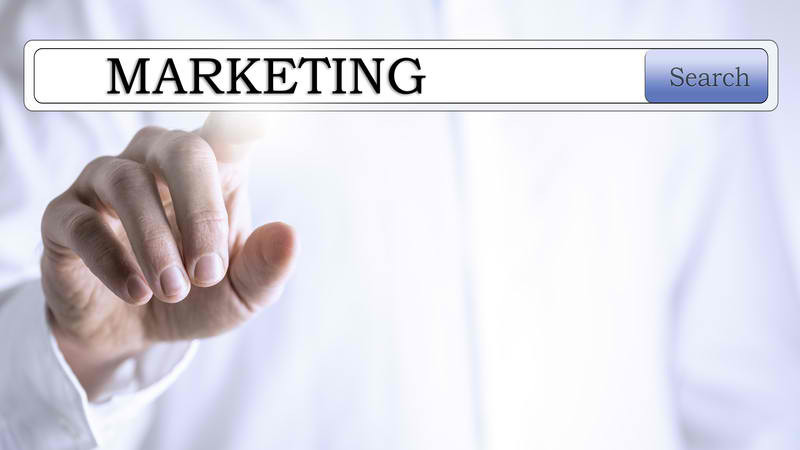 With Internet marketing, the difference in the size, number of manpower and available resources are not the main factors anymore in bringing success and revenues through your marketing campaigns. How effective and correctly you use Internet marketing channels will generate the results you need, leveling the field that have allowed small and upcoming companies compete with the big boys. The World Wide Web never sleeps and so does Internet marketing, allowing business with little resources to sustain a physical 24-hour operations to compete in the digital marketplace using Internet marketing tools that can run virtually 24 hours a day and 7 days a week. One of the dangers in Internet marketing is that a particular campaign can easily be copied by a competitor, and many have done so with utter disregard for the legal ramifications their actions may bring. Trademarks or logos can be used to defraud customers and take away a sizeable market share from you. Not only that, these can also be used for perpetrating negative and erroneous information about your brand, product or service that will ruin your online reputation – and lose valuable targeted customers. With both legitimate businesses and questionable entities like trolls, spammers and scammers present in the digital marketplace, the Internet is flooded by lots of online clutter. It would really be doubly hard for Internet marketers to get noticed by their targeted customers. Some consumers now have the tendency to simply ignore Internet advertising, making legitimate businesses lose valuable traffic and of course revenues in the process. Business owners and digital marketers should focus on bringing their Internet marketing campaigns to professional levels, otherwise they will not be taken seriously by their targeted customers. First impressions really matter whether you use traditional or Internet marketing and advertising channels so it would be to your greatest advantage to stay consistent and professional in whatever channel you are using for your campaigns. Some brands, products or services have targeted audiences that may not be reached by Internet marketing channels. Some products and services target the elderly and only a few percentages are tech savvy and may not have access or do not even know how to get online. If that’s the case, you will only be wasting time and resources marketing your products or services through Internet means. Just like the proliferation of online ads, Internet marketing is faced with a great challenge of too much competition. 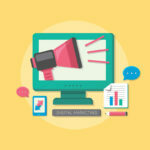 Digital marketers are scrambling to get into a better position for optimum visibility for their marketing and advertising campaigns, and with the presence of too much competition, will make it doubly hard and expensive to get the attention of targeted audiences. 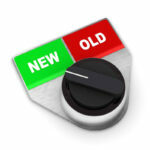 Digital marketing tools are prone to their perennial problem of negative feedback which can damage your online reputation. A single post or tweet that defames or give erroneous claims and negative feedback about your products or services can scar and ruin your Internet reputation for a long time. Digital marketing makes use and is highly dependent on technology. 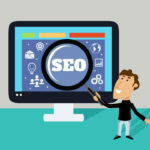 In many cases, technology can break down and produce erroneous results that can severely affect your Internet marketing campaigns. Non-working links to important landing pages, pay buttons that do not work and other similar stuff like can ruin your hold of your targeted audiences and lose good business. Lastly, not all people have already bought into the idea of Internet marketing, preferring to choose or put more importance to products that they can actually touch before they purchase. Many are still concerned and have serious doubts in the security of online transactions that they fear going into one for business purposes. Focusing only in Internet marketing will prevent you from reaching out to targeted audiences in this category which can still be very considerable in terms of numbers. As the Internet continue to evolve, new technologies in Internet marketing will emerge and will define how products and services will be marketed in the near future. Getting a better understanding of the power of Internet marketing by giving a comprehensive look at its advantages and disadvantages will prepare business owners and digital marketers in years to come.